Actual atmospheric water vapor frozen into actual ice crystals fell from the actual sky above me. Here I am, still trying to decide what to wear to a freaking Halloween party and it’s SNOWING. Upon sight of that very first flake I vomited in my mouth a little and then made my best effort to fit my entire self under the heat lamp in the kitchen at work. A desperate attempt to make myself believe I was on a beach far, faaaar away from Wisconsin. Suffering through the past 29 winters in wonderful Wisco must give me some sort of snow ESP though because as luck would have it, I had a soul warming Caribbean stew waiting for me in the slow cooker when I got home from work tonight. Inspired by our upcoming trip to Jamaica and the swiftly dropping temperatures we’ve experienced over the past week, I decided to try my hand at an easy slow-cooker meal to get me in the tropical spirit. I made all of these preparations yesterday, while still completely in the dark about the stupid, snowy forecast, I’ll have you know. What this meal lacks in looks, it most definitely makes up for in ease. 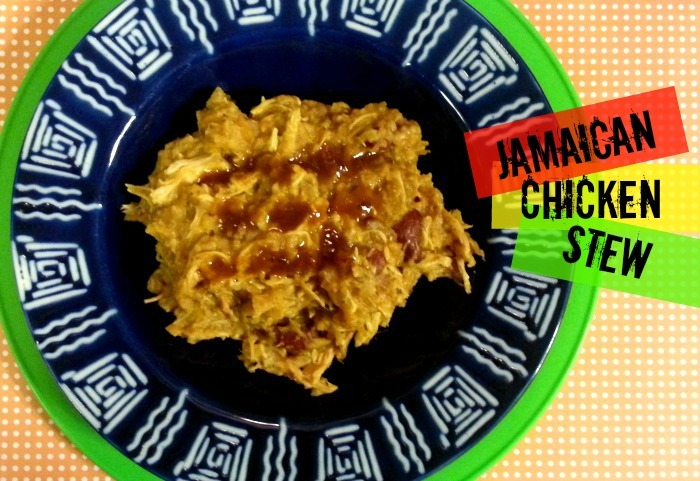 Our upcoming trip will be my first to Jamaica so I’m no expert at Jamaican cuisine, but I took the few things I think I know about Jamaican food and mixed them all together to create this Jamaican Chicken Stew. It’s always been a bit confusing to me that Jamaican peas and rice is actually red beans and rice, buuuut I’m not one to mess with deliciousness so I just went with it, mon. 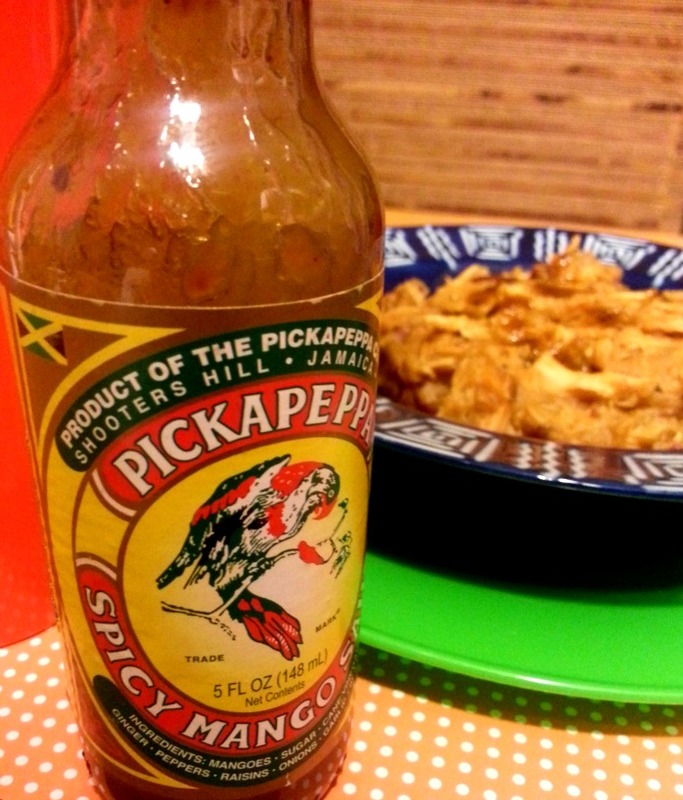 I also enlisted the help of a bottle of Pickapeppa Mango Sauce and I think the result was pretty moreish (that’s Jamaican for “so good you want more”…FYI). Pineapple, coconut milk, and sweet potato lend to the sweetness of the dish, while chicken, rice and beans lend to the savory side. The combination is simply mouthwatering. 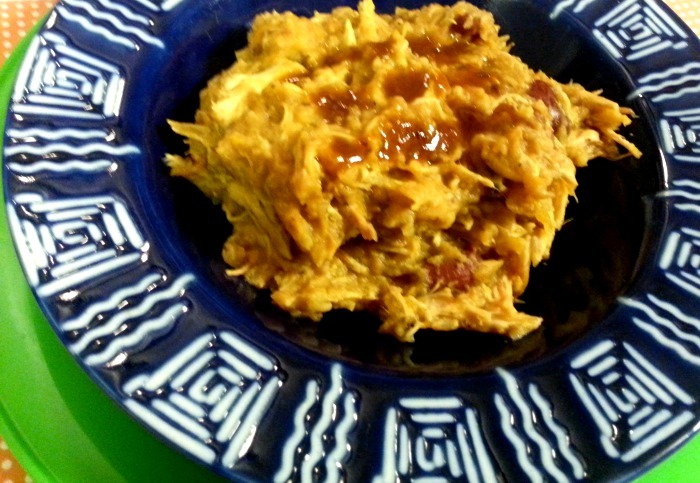 Combine sweet potato, rice, beans, and pineapple in slow cooker. Top with chicken breasts and pour liquids over everything. Cook on low for 6 hours. Shred chicken and mix everything together before serving. Top with remaining Pickapeppa Sauce and everything will be irie! What can you tell me about Jamaica? Have you ever been to Montego Bay?! “No worries” is one of my favorite phrases, I love me some reggae, and… this. Oh, and about that little 10 day blogcation I just took? Life (and Breaking Bad) got in the way, and for that, I’ll never apologize. I. AM. SO. EXCITED. 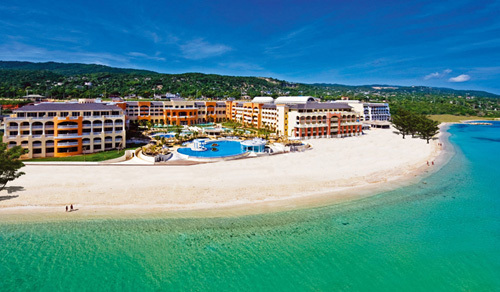 We’re spending 4 days in Jamaica, then 6 in our usual vacation spot, Playa del Carmen. I’ll save you a seat on the planes!